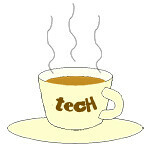 AFA « Tech bytes for tea? Held this year from 25 to 27 November, the region’s largest and most followed Japanese popular culture and anime festival boasts more than 130 exhibitors, a line-up of popular artistes, and an exciting programme. Prices below. The exhibition halls were packed today! Personally, I’m looking forward to buying some merchandise from my favourite anime, and watching my favourite seiyuu (voice actors) on the day stage. Photo credit: Anime Festival Asia Singapore 2016. The annual Anime Festival Asia (AFASG2016) kicked off its three-day experiential showcase today in Singapore. Attendees and aspiring cosplay enthusiasts can also look forward to meeting celebrity cosplayers from the region this year. Some new highlights include the inaugural ANiBEATS, a 1-night only after party on 27 November, featuring DJs who blend EDM (electronic dance music) with anisongs (anime songs). You can find immersive experiences at various experience zones, including a Sword Art Online centric exhibition booth that showcases artwork and animation cuts of all seasons of this beloved series. Erin Tan checked out AFASG2016 at Suntec City. Fortunately she went early – it got super crowded very quickly after this. Original merchandise direct from Japan, including merchandise exclusive to the festival, will be available for shoppers. Collaborations with key industry heavyweights will see AFA debuting in Thailand as part of SEA’s largest popular culture festival in May 2015. Photos in this article are courtesy of Anime Festival Asia 2014. (from second left to right) Koichiro Natsume (CEO, Aniplex Inc. and Founder of Anime Japan); Shawn Chin (SOZO’s Founder, Managing Director and Anime Festival Asia’s Executive Festival Director); Ongard Prapakamol (BEC-Tero True Visions’ Managing Director); and Hidetoshi Takigawa (South East Asia Region Head, Sony Computer Entertainment Hong Kong Limited Singapore Branch). Industry partners spoke during the press preview for AFA 2014 in Singapore which takes place at Suntec City starting tomorrow till Sunday (5-7 December). AFA: AFA announced a partnership with BEC-Tero True Visions (BTTV), a joint venture company formed by Thailand’s largest pay TV operator True Visions and the country’s largest concert and live events promoter BEC-Tero – to grow the popular culture markets in Thailand and Indonesia. AFA Thailand will be held with Bangkok Comic Con in April 2015, with an event in Indonesia slated subsequently. Sony PlayStation: PlayStation is celebrating its 20th Anniversary and has unveiled the limited PlayStation 4 20th Anniversary Edition and an online contest. Anime Japan: Anime Japan 2015, to be held on 21st and 22nd March 2015, will work together with AFA to cross-promote and introduce AFA to visitors during the event. Anime Japan 2015 will feature a new area to target trade visitors keen to discuss business collaborations and programmes. HoriPro artistes May’n and Hayato Kakizawa, who plays Light in the musical Death Note that’s premiering in Japan in 2015.